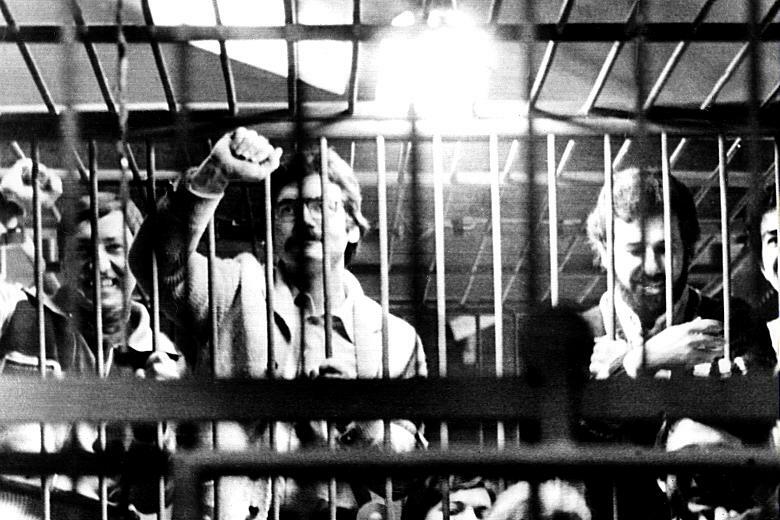 Here imprisoned militants of the historic leadership of the BR criticize the clandestine national leadership of the organization for a militarist and authoritarian approach to the qualitative leap in the area of autonomy produced by the movement of 1977 (referred to by the BR and its supporters since at least the February 1978 Strategic Resolution as the Proletarian Movement of Offensive Resistance-MPRO) and clarify that a successful leap to civil war for communism demands a qualitative transformation in the practice of both the old armed groups and the new forces of autonomy. The translation is provisional as always. ..We find ourselves in the transition between two phases, we are no longer in the phase of armed propaganda but not yet in the phase of widespread civil war. We are therefore in a transitional conjuncture. We must pay close attention to the specificity of this transition and the contradictions which characterize it, and not underestimate the fact that it may persist for a relatively prolonged time. In fact this depends just as much on the structural evolution of the capitalist-imperialist crisis as it does on the subjective capacity of the metropolitan proletariat to construct a combatant communist party and to condense its antagonism into a autonomous and active system of revolutionary power within all sectors and centers of the class. It depends on the capacity of the revolutionary forces to win the masses to the armed struggle, to organize the proletarian vanguard and the most advanced elements of the class into revolutionary mass organisms which are effective organs of power. ..the proletarian movement of offensive resistance is not a homogeneous totality, devoid of contradiction, movement and life; It is not merely a “hunting ground” in which one can recruit new militants. Its strategic depth is completely different. It is in fact the political and military mass base of anti-imperialist civil war. Therefore we should devote greater attention to it. ..On this occasion, our task is not to revisit the complex and contradictory history of the unfolding of the antagonistic practices of the metropolitan proletariat in its diverse determinations since 69/70. However we should at least recall its phases. In the first half of the 70s, the decision to act on the new and unexplored terrain of armed struggle remains confined to a small vanguard, who aware of their limitations and of their tasks, and under the acronym of the Red Brigades, will be devoted to implanting, with a intense practice of armed propaganda, the main concept of the possibility and necessity of jump-starting in the specific conditions of our country, a revolutionary process for the conquest of power. It is a fact that their objectives were achieved, and after 74, with the maturation of a profound crisis on the economic terrain, new formations emerge. The Armed Proletarian Nuclei and later Front Line. The transformation of the subjective horizons of the most advanced proletarians in combination with the uncontrollable explosion of social contradictions leads between 74′ and 77′ to the emergence of a swarm of micro-groups, which on the basis of their immediate conditions of existence, seek to operate on the terrain of armed struggle, they remain however within the old organizational and political modes which ensure an appearance of “rooting” in the factory, the neighborhood, the school, unable to develop their premises in reality, without confronting the counter-offensive of the state in the conditions of strategic deficiency. The wider dissemination of what we have called the proletarian movement of offensive resistance coincides with its greatest weakness. This consciousness begins to develop on a mass level during the Spring of 79′, as a result of the very decisive attack which the henchmen of Dalla Chiesa have sought to carry out in accord with the executive. Paradoxically, thanks to this indiscriminate attack, at the same time that some combatant communists, become shadowy windbags, fantasists, novelists and “retirees”, there begins a course of conviction of the urgency of a critical and self critical revision of the strategic implementation, the line of struggle, the modes of organization, which the combatant communist organizations, just as much as the diffuse army of micro-groups have utilized up until now. Therefore a period has opened, a “debate” essentially, in which, while certain tendencies have been subjected to a serious critique, the new experiences were beginning to produce a more mature orientation. In particular, there was critique of the unilateral tendency of some in the C.C.O (Combatant Communist Organizations), who consider the P.M.O.R, as a hunting ground and thus pursue the more mature militants. Of course not only did this undermine, devitalize and exhaust these formations, but even worse, it actually failed to respond to the proletarian demands and tensions which were evident in their origins. In gaining another militant, the C.C.Os obtained only an illusion of effective reinforcement. In reality they blocked the route to a ever broadening link, articulated and multiform with the specific sectors of the class. Another tendency submitted to critique was the one which considered the archipelago of the P.M.O.R as a set of troops of a hypothetical Red Army still dispersed but already substantially in existence. For the O.C.C there is the objective of unification of these fragments within a complete organizational scheme, under their political leadership. In this case there prevails a mechanistic and militarist view. One transforms a “potential” into an “actual”, and one reduces to its purely military dimension a phenomena which asserts its identity on a much wider terrain: that of power. In both instances, the fact that this ever widening zone of practices requires a metamorphosis, a qualitative leap, on the part of both the O.C.C and the micro-formations is obscured: to be developed in a discussion on the character of the interaction between the two levels. One finds here, first of all the problem of the “leap to the party”. On the other hand, the stable character of this expanding zone of antagonistic practices, its irreducibility to the combatant party; the enormous “possibility” that this contains of transformation into an articulation of red power, could no longer be evaded, and all were thus compelled to take note of the problem and place its resolution on the agenda. Of course this is not congruent with a simple, automatic, linear process, and the convulsions in recent months, which the usual little scientists called “scuffles”-are a testament to that productive labor. Moreover, the transition from the infancy of the guerrilla to its adolescence cannot advance without tension. The dialectic between the new which emerges and the old which disappears is always violent. If this process is unable to achieve the general characteristics which define a new beginning, it nonetheless emerges in several experiences of the vanguard. The recent struggles at Fiat, in the “battle of Asinara”, in the encirclement of the agents of the enemy in the proletarian neighborhoods, are new embryonic insights on how to understand the organisms of proletarian power in formation, their strategic leadership, their principles and their most appropriate modes of organization. It is the responsibility of the C.C.O to extract the core of these experiences, and their most advanced and general content, in order to redefine themselves in relation to it, in order to appropriate them and make them live in the practice of construction of the system of red power. It is necessary to emphasize this dialectic against that which holds that the organizations of mass power in formation are shall we say spontaneously self generated. The consciousness of the proletarians in the metropole is bombarded with counter-revolutionary ideological structures from birth. It is a system of monstrous cages which imprisons their revolutionary potential defined by their objective position within the relations of production and which we can only break free from through a hard struggle against ignorance, against common sense, against false consciousness and the tyranny of ideologies. This struggle-which is an essential determination of the class struggle-in driving the proletarian conception of nature and society, the dialectical-materialist theory of consciousness, a historical materialist analysis of our social formation and of imperialism is a necessary basis for conscious and victorious revolutionary action. A struggle waged primarily by the politico-military vanguard, on the front line of the social revolution, which can only include in the transformation of the objective world, the destruction of the ideology which congeals an enormous quantity of revolutionary potential, and, in that process also its own ideological residue. It is in this struggle, completely internal to the boiling furnace of the “movement”, that a line is affirmed when it shows itself more adequate to the resolution of the concrete problems posed by proletarian antagonism when deployed, and which the other lines failed in, appearing in the final analysis to be impotent and erroneous. However, there is nothing of spontaneity in all this, because if there is no vanguard which takes up the objective of giving a organized and concentrated theoretical, political, organizational and military form to the multiform forces that emerge from the diverse figures of the metropolitan proletariat, they are inevitably dispersed and ultimately wiped out in a violent and helpless collision with the imperialist state. The counter offensive which the henchmen of Dalla Chiesa have unleashed in recent months against the proletarian movement of offensive resistance, will be beneficial for us, if instead of lamenting repression, we understand all the consequences of the new conditions. They create, in fact, the possibility, rather the necessity, of a dual metamorphosis, that invests both the C.C.O and the current organisms of the P.M.O.R and which becomes recognizable in a single strategy: the construction of red power. The C.C.O in order to requalify their politico-military function, must begin to prepare themselves to organize and lead entire sectors and strata of the proletariat on the terrain of anti-imperialist civil war. The qualitative leap of the C.C.O to the party is verified on the testing ground and not only in the direct line struggle between organizations. The current organisms of the P.M.O.R must acknowledge their essential content, which is the exercise of the revolutionary dictatorship, and as a consequence eliminate the remaining residues of economism, immediatism, and sectarianism which define the conditions of their immaturity on the terrain of power. 6: Our discussion requires on this point an opening to the strategic level. The growth of red power in the imperialist metropole is embodied in three decisive points, which define its originality in the context of for example its relation to the Russian and Chinese experiences. First: It is consolidated within the locations of the greatest concentration of enemy power within its territories and within its institutions themselves: in the capitalist factory, the prison, the neighborhood, the school. It is not legal, and draws its legitimacy from the consensus which its action stimulates throughout the proletarian masses. Thus, going forward, the defense of bourgeois legality is definitively expelled from the perspective of the metropolitan proletariat. In other words, the organisms of mass power auto-legalize, they exercise and impose their own organized force. The concept of “mass clandestinity” refers therefore to the force with which this proletarian legality expresses itself. In fact, if there is one strata of organisms of mass power, which must be clandestine in order to protect them from the attacks of the state or in order to ensure the best conditions for attack, there is another which impose a relation of power with the politico-military offensive itself, and therefore their own revolutionary legality, enforcing their power at a level of clandestinity proportionate to their force. Second: It manifests in the form of invisible red bases, the clandestine networks of the masses, which, acting on the vital centers of the capitalist social formation, take up the complex of tasks required for proletarian revolution, which seeks to be social and to invest the totality of social relations, on the basis of production which is fundamental. As it attacks, wears down, disarticulates and shatters the existing state, it constructs the stable institutions of proletarian dictatorship, the proletarian state, and exercises the political, theoretical and coercive forms of this dictatorship, ever more decisively and extensively. Third: Therefore red power is process, relation and system. Process, because its production and reinforcement is its itself through the destruction of the enemy power. Relation, because it exists only insofar as it is the living negation/destruction of the the imperialist state and the capitalist mode of production it secures. System, because it is internally stratified, in an articulated and complex dialectic, of multiple levels of consciousness and organization, expressions of the multiple figures which comprise the metropolitan proletariat and its history. The system of red power is precisely the organized, autonomous, articulated and offensive manifestation of this “unity of multiplicity”, and one cannot assume the unilateral elimination of one or the other of its essential components, which are; the combatant communist party in formation, the revolutionary mass organisms and the revolutionary mass movements. Among other things, it cannot support the separation between the “political” and the “military” in any of its forms of existence, because of the congruence of form and content in the protracted proletarian class war for communism.